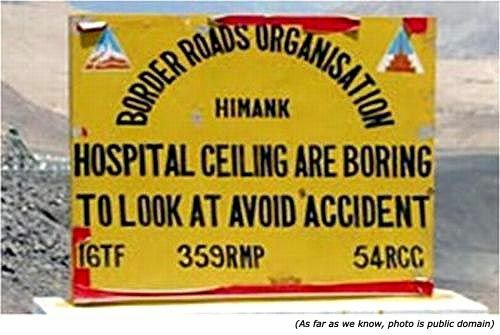 You wouldn’t expect Border Roads Organization (BRO) to have a great sense of humor but you’d be surprised to know that folks at BRO have a certain “special” penchant when it comes to writing the copies for their signboards. 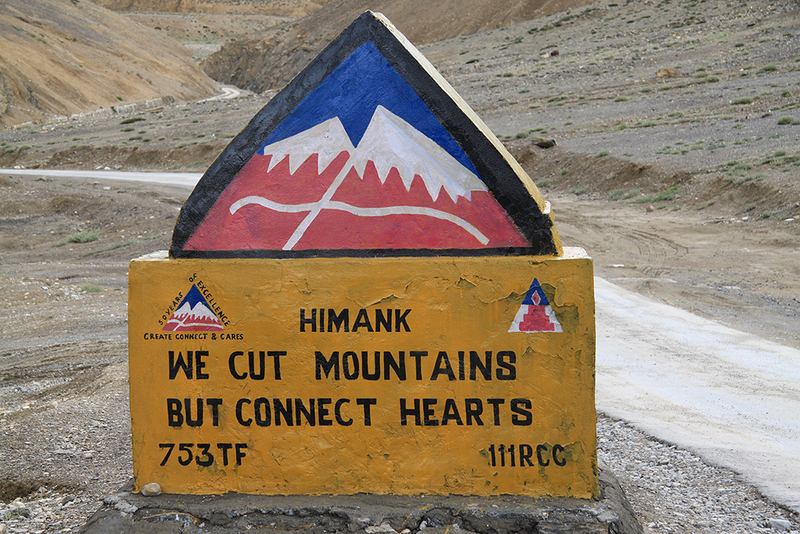 Here we list down 15 of the most (sometimes unintentionally) hilarious signboards put up by BRO. This one is definitely sexist as men gossip just as much as women, if not more. BRO loves drivers but they despises speed and this one proclaims this loud and clear. Get it, darling? Only thing more dangerous than drunk driving is BRO’s rhyming skills. Period. And so do we. At least lately, we’ve been smitten by them. Wink wink. We can’t quite wrap our brains around what this sign board is supposed to convey, but we do feel that whoever wrote this one smoked up some real good stuff. And we want some too! 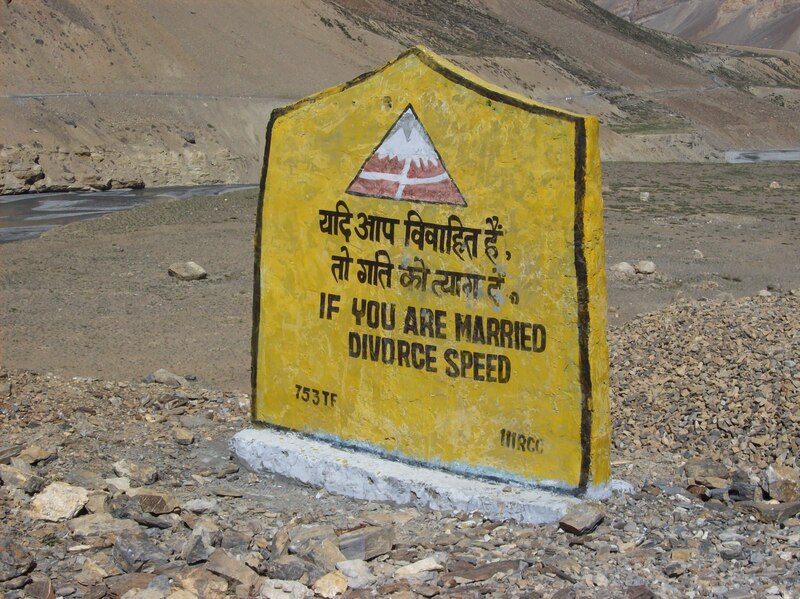 Simply put, this one means that marriage slows you down or if it doesn’t, it should. Whatever. Or at least when you plan to drive after a couple of rum and cokes. Stop drunk driving already, folks! BRO wants you to get insurance, live long and let it mature. What if one doesn’t have the money to get one? Never mind. And wants you to be a gentleman and go gentle on her curves. Okay then. 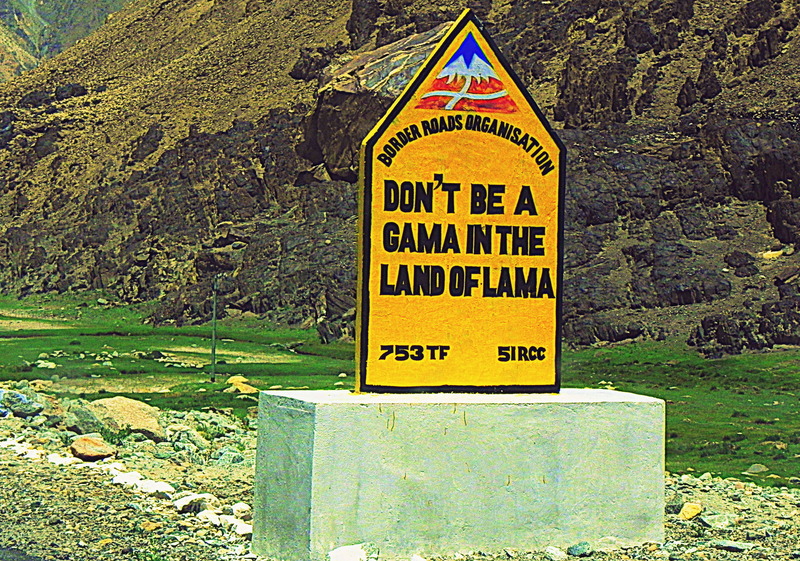 Rama Rama, what’s with this Gama and Lama? 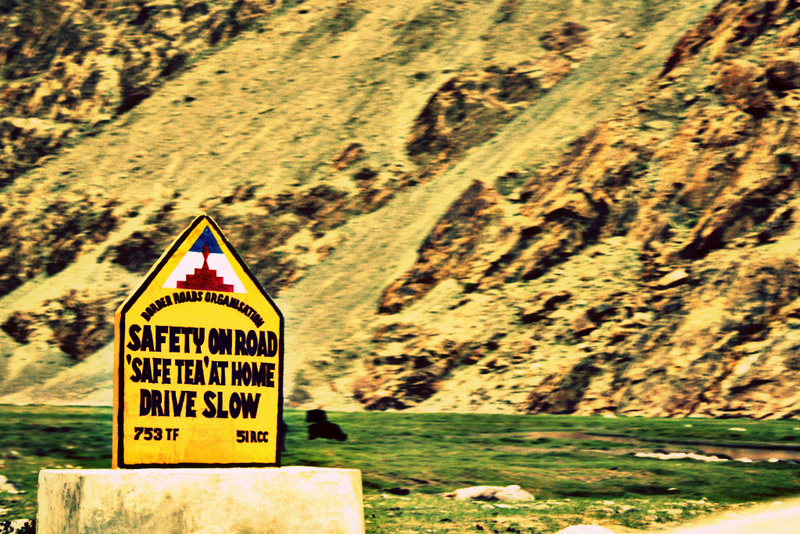 Drive safe and drink a cup of tea when you get home. Like coffee instead? We are not sure what you should do then. I think we came up with a better signboard with the above than what BRO has, don’t you think? To book a spot in hell and a personal interview with the Satan, one simply has to drive like hell, say the experts at BRO. Just imagine – multiple broken bones, countless stitches, plaster and the smell of medicines while you stare at the blank ceiling round the clock. Pretty sad a sight, right? BRO thinks so too! Love their “sense of humor” or hate it, folks at BRO are definitely doing a great job! Hilarious as these may be, BRO has your best at heart. The laughs we get at their expense is just a surprise bonus. You keep doing you, BRO!